On our Private Rome day tours visit Tivoli, an area that more than 2000 years ago was surrounded by a luscious countryside. Its closeness to Rome, its abundance of salubrious waters and its cool climate attracted many wealthy Romans who loved to spend their holidays here. 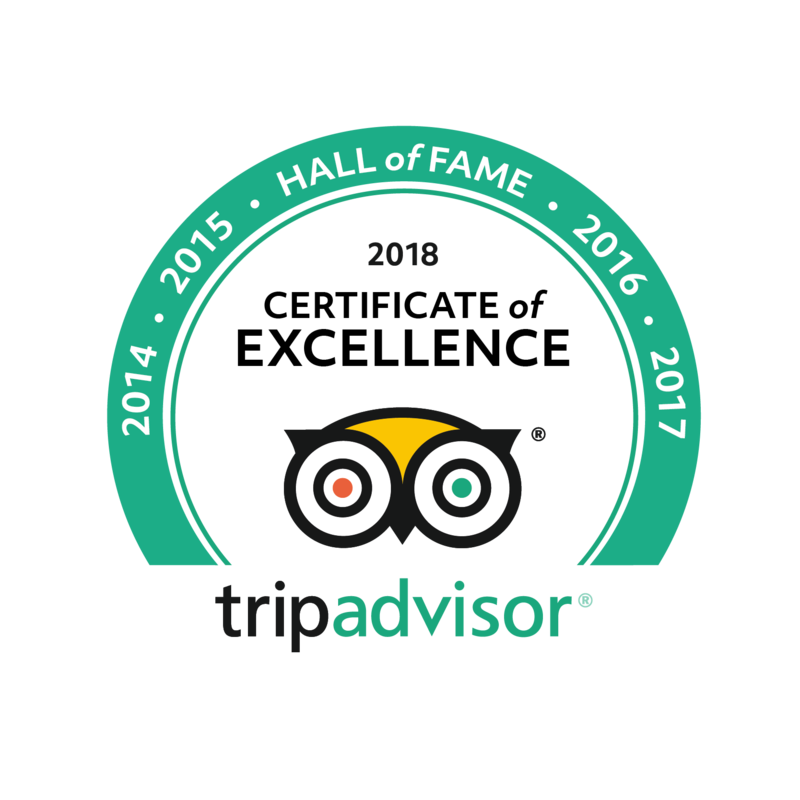 The perfect place to take a break from your vacation as you enjoy a guided tours of the Villa Hadrian & the celebrated gardens of the Villa D' Este. Emperor Hadrian chose to build his magnificent Villa near Tivoli. Here he could relax, away from the Roman mob and the flattering courtiers, and spend his time hunting. Hadrian's villa was like a small town: there were baths, fountains, large halls, all beautifully decorated with statues and mosaics and all in a very innovative in style making our Rome day tours to Tivoli a perfect complement to your time spent in the Eternal city. 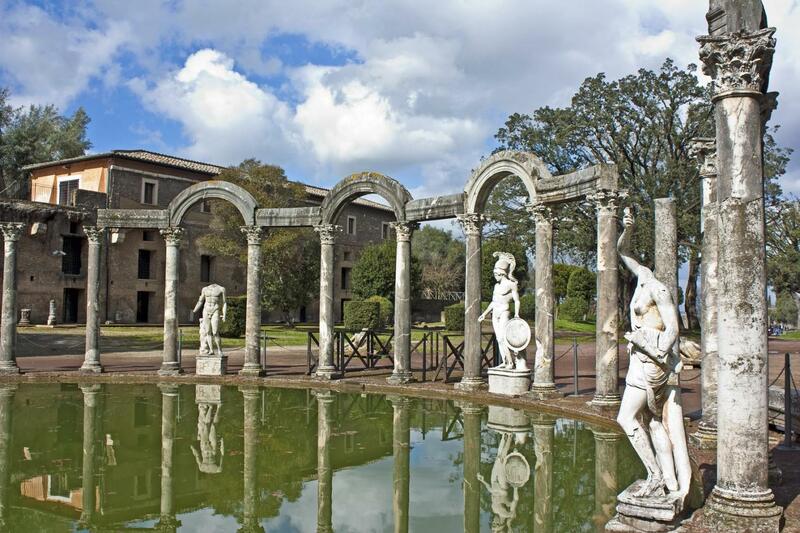 As you enjoy a walking tour of the Villa Hadrian with an expert Tivoli tour guide visit the spectacular Canopus, a dining hall overlooking a large canal which could accommodate hundreds of guests invited at Hadrian's magnificent banquets. Or the Teatro Marittimo: Hadrian's headquarters and private retreat surrounded by a moat it could be completely isolated by simply removing two wooden bridges. 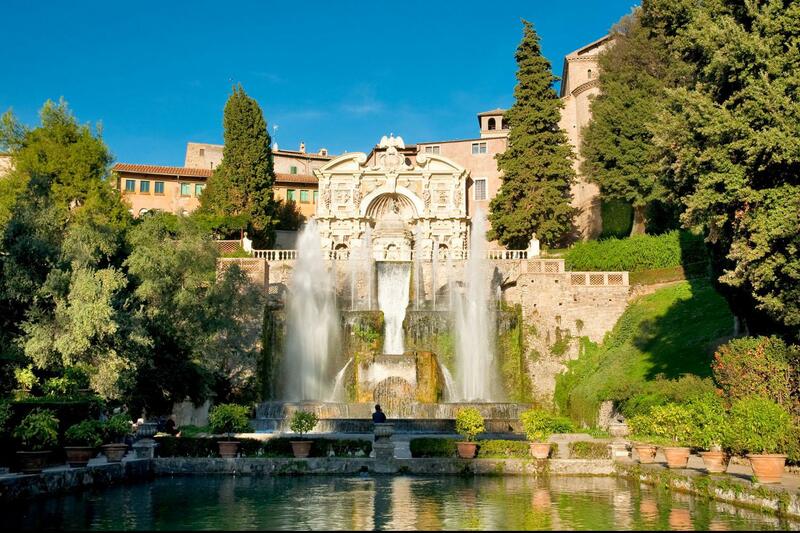 The gardens of the Villa D'Este in Tivoli, is the second part of our Rome day tours of Tivoli excursion. The brainchild of one man, the powerful and ambitious Cardinal Ippolito D'Este who during the 1500's set out to transform an old Benedictine convent into a new garden of Eden with more than 200 fountains laid out on sloping terraces and surrounded by beautiful gardens. Some of the most imposing fountains have been just restored, like The Fontana dell'Organo which has inside a water-operated organ which delivers music as water flows through the fountain, or "le Fontane di Tivoli e Roma", that features a reproduction on a smaller scale of the two cities. Tivoli, Villa Hadrian & the sumptuous gardens of the Villa d'Este make our Private Rome day tours of Tivoli the perfect escape in the hot summertime. Enjoy the coolness of waterfalls and sit in the shade of mighty ancient cypresses as you unwind in this heavenly place. NOT INCLUDED: ENTRANCE FEES - 22,00 euro per person total for the two Villas.